Have you ever been driving and your cell phone started ringing and there you are fumbling trying to put the phone on speaker so you can drive without taking your eyes off the road? I have found myself in that situation more times than I care to count. That's why I thought this Soulsoundmagic Bluetooth Earbud is such a good idea to have especially when driving. Not to mention that the sound is so clean and clear. 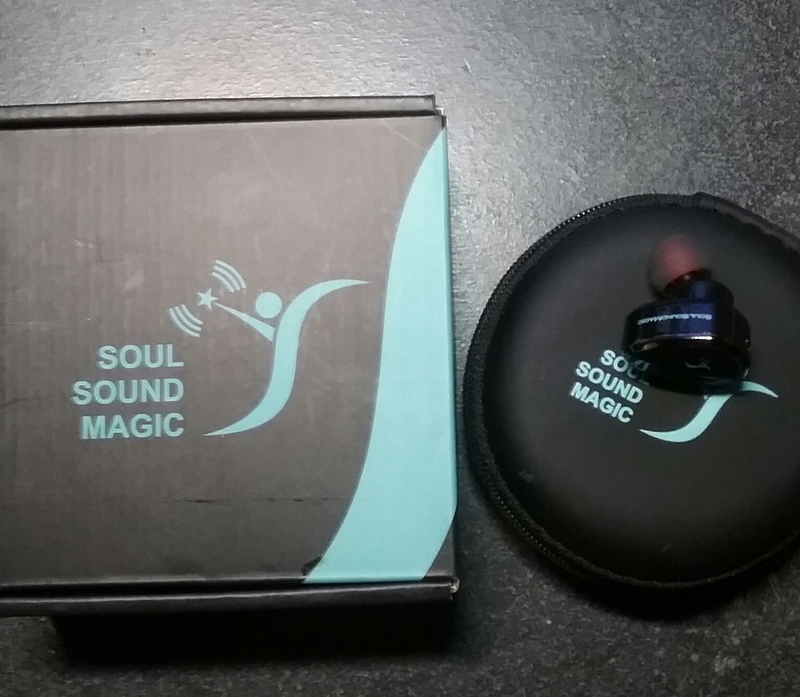 I was really surprised at the sound that comes from this tiny earbud. When listening to your favorite music, there is premium hifi and heavy bass to give you superior sound quality. So much technology goes into this tiny earbud. It has built in HD and acoustic echo cancellation to ensure high quality and enables you to call clearly wherever you may be. The crystal clear audio makes it perfect for listening to Audiobooks, Podcasts, Neflix, etc.It is compatible with most bluetooth enabled devices such as iPhone 4,5,6S,7 plus Samsung Galaxy Note S5,S6,S7, edge LG , Sony, Motorola, iPad air (2), iPod Nano, Laptop,etc. One button makes switching from music to a call seamless and leaves both hands free to do what you need to do, whether you're at the gym, running, working, whatever activity you enjoy.